RANCHO SANTA MARGARITA, CA--(Marketwired - February 02, 2017) - John's Incredible Pizza Company is hosting a hiring fair Feb. 9-14, 2017 within NewPark Mall in anticipation of its Grand Opening this spring in Newark, California. 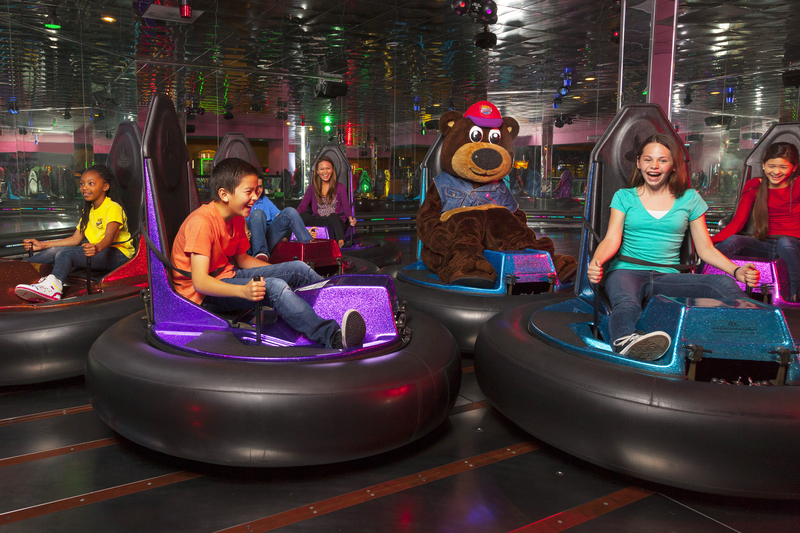 The indoor family entertainment center will add approximately 200 jobs to the local area, from Pizza Cooks, Prep Cooks, Cashiers, Guest Service Representatives to Buffet Attendants, Fun World Attendants and even John's loveable mascot, IncrediBear. "At John's, we're all about creating a community," said owner and founder, John Parlet. "From the moment you walk in, you're a part of the family. We really want our employees to feel like they're a part of the bigger picture." The 65,000 square-foot location will feature an All You Can Eat Buffet with many items made from scratch. The buffet features 20 varieties of freshly made pizzas, fried chicken, pasta with homemade sauces, a 40+ item salad bar, soups, potato bar, and desserts. Guests are invited to enjoy their meal in one of the many themed dining rooms, including the Tahoe-style "Cabin Fever," the kid-favorite "Toon Time Theatre," or "Hall of Fame" sports room featuring big screen TVs to watch your favorite game. In addition to the made-from-scratch buffet, guests of all ages will enjoy over 100 of the latest games, rides, and attractions include adult-sized Bumper Cars. The highly-anticipated Newark, California location can accommodate up to 1,000 people, making it the perfect location to host your child's next birthday party, school field trip or private event. "We're incredibly excited about the growth of John's Incredible Pizza in Newark," said Denina Evans, director of human resources. "Being a part of John's team is more than just coming to work every day. It's about being a part of a big fun family!" John's Incredible Pizza Company offers employees discounted meals, "pizza bucks" to bring their family and friends to John's, sick pay, pat-on-the-back incentives earned for giving incredible service and 401K with a company match. Full-time benefits include bonuses, health benefits and paid time off. The hiring fair will take place in the lower level of the NewPark Mall from 8 a.m. to 6 p.m. All interested applicants must apply and pre-register for an in-person interview via John's hiring website. To apply and set up interview, visit www.johnspizza.com/jobs. For more information on John's Incredible Pizza Company and for the latest updates on the Newark Grand Opening, please visit www.johnspizza.com. Founder John Parlet opened the very first John's Incredible Pizza Company location in Victorville, California in 1997 to a crowd of curious guests waiting to experience the food & fun promised inside. Fast forward 20 years later and John's now operates nationally with 12 locations, expanding its footprint to over 60,000 square feet with an All You Can Eat Buffet, over 100 of the latest games, rides and attractions.